Mr. Jack Starr has been plying his trade in the heavy metal business for well over 20 years so there's no way the man can be called a bandwagon jumper. Heavy music is in his blood. However, I didn't think he had a record of THIS caliber in him. The Guardians of the Flame (how about that for a METAL moniker) are a topnotch band who revel in the glory of ancient power. Is this band cliched? You better believe it! 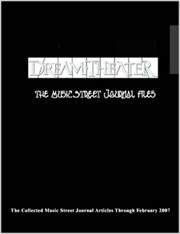 They practically wallow in every tried and true aspect of the classical metal band, as one glance at the medieval-inspired cover should indicate. And you know what? When a band does it this good, who cares? Jack and his buddies worship the elder days of metal, before terms like thrash, grunge and grindcore were even known. The days when bands like Iron Maiden, Dio and Manowar strode the land with a mighty stride. And Guardians of the Flame proudly follows in this tradition. This is not modern power metal in the vein of Hammerfall or Rhapsody, but something far more venerable, with its roots deep in rock and roll. Jack's vocalist is a guy with the wonderful name of Shmoulik Avigal, who looks like a Serbian restauranteur on the CD liner, but who sings like a true titan. A perfect mixture of Bruce Dickinson, Dio and even Bad Company's Paul Rodgers, he is the absolute best frontman for a band like this. Years ago, he was in the Dutch band Picture and why Avigal never became a big name is a mystery to me. 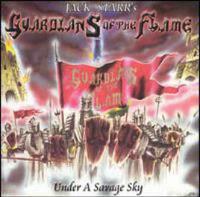 Add to this Jack's own searing guitar solos and a rock-solid rhythm section and you have the Guardians of the Flame. Fans of traditional metal, take up your blades and prepare for battle! A snippet of dramatic opera opens up and tells us this is gonna be a no-messing epic. Once the jamming power chords hit, you feel like putting on your helm and going out to slaughter some infidels. Powerful, crunchy, classic metal with soaring vocals and great semi-Celtic guitar work, in the hands of a less talented band, it could be unbearably cheesy, but here it is truly inspiring. The title is Latin for "holy conspiracy". A strong Middle Eastern influence pervades this dark and heavy cut, which crunches along in a mid-tempo manner. Now THIS is what I call heavy metal. A headbanger's delight, this is fast and blistering all the way down the line, with great catchy hooks and a killer chorus that will reverberate through your head. Everybody gets to show off their stuff on this one, but especially Jack Starr, who gets to let fly with plenty of stinging guitar solos throughout the track. It's a great cut, with less of an epic feel, and more of a down and dirty aura to it - thumbs up! This instrumental heads back more towards the classically influenced territory. It's a driving cut with a kind of French feel to its guitar melodies; sounding like something Napoleon's troops would march to war to if they were into metal. Running Wild is a band that also took this route as well. The ending to this tended to drag too long. Even though this is a really good song, that title sets up images of Ozzy's obnoxious wife running through the forest. Brrrr! The track itself is great and definitely one of the slower, heavier numbers on the disc, with plenty of atmosphere in its down-tempo riffing. Shmoulik outdoes himself with his emotive pleadings to "Sharon, Lady Sharon". Halfway through, the song slows down even more, becoming a really Gothic doom metal number with more of Jack's soloing on top. Starting off with more of that Celtic war march feel, this is a cool heavy metal number. Avigal's repetition of the track's title really embeds itself in your brain. The shortest number on the disk and one of the best. It reminds me a little of "Holy Diver"-era Dio. "Lead us now to salvation/teach us to hate every nation/Under a Savage Sky." Beginning moodily with some bluesy licks, this turns into a monster epic with several changes in tempo and tone. It's got a lot of the flavor of Jack's old band Virgin Steele. The lyrics are ungodly cliched but again, a feeling of conviction and authenticity pervades the tune. I could have done without the backing vocals, though. The riff that comes in at about 3:20 is a classic and there's another good one at 6:20. A straightforward metal tune with a "surging" feel to it, this is not a bad number at all, but doesn't really stand out amidst the other songs here. The lead vocals are really dead on influenced by Bruce Dickinson. This track really seems produced differently than the rest of the stuff. It's got a raw, echoey, under-produced aura to it that recalls a lot of early NWOBHM material. Strangely enough, the production helps it. Beginning with a solo from Jack, it morphs into a chest-beating anthem with a "Viking" feel, reminding me of old Manowar. Another tidal wave of warrior cliches hits the listener. Towards the end, it takes a more melodic turn, leading to a cavalcade of lead guitar soloing. The chorus is excellent and inspiring enough to make one take up arms. The album concludes with this instrumental guitar workout from Mr. Starr. Classically influenced, it's brief and to the point.